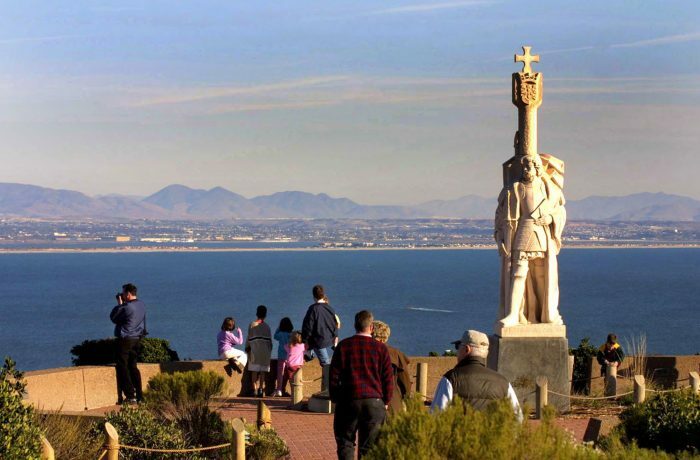 Cabrillo National Monument is dedicated to Juan Rodriguez Cabrill, “discoverer” of California in 1542. 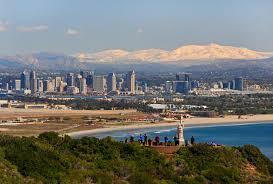 It is at the tip of Point Loma, where there are fantastic views of the water, San Diego downtown & harbor, and Coronado Island. There is a 2.2-mile RT Bayside Trail, part paved and part dirt, starting at 400 feet and going down to 40 feet, shown in the map below. 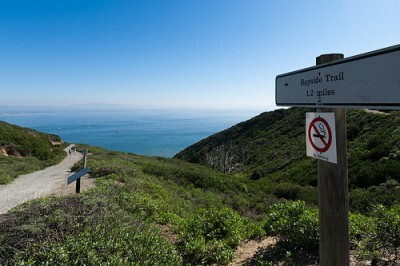 It is also possible to combine this with some of the other roads around — it’s a mile from the Cabrillo Statue to the Light Station. You can also head further north on Cabrillo Rd. into the Point Loma Ecological Preserve, or run along Gatchell Rd. to Woodward Rd., paralleling Cabrillo Rd. to the West. 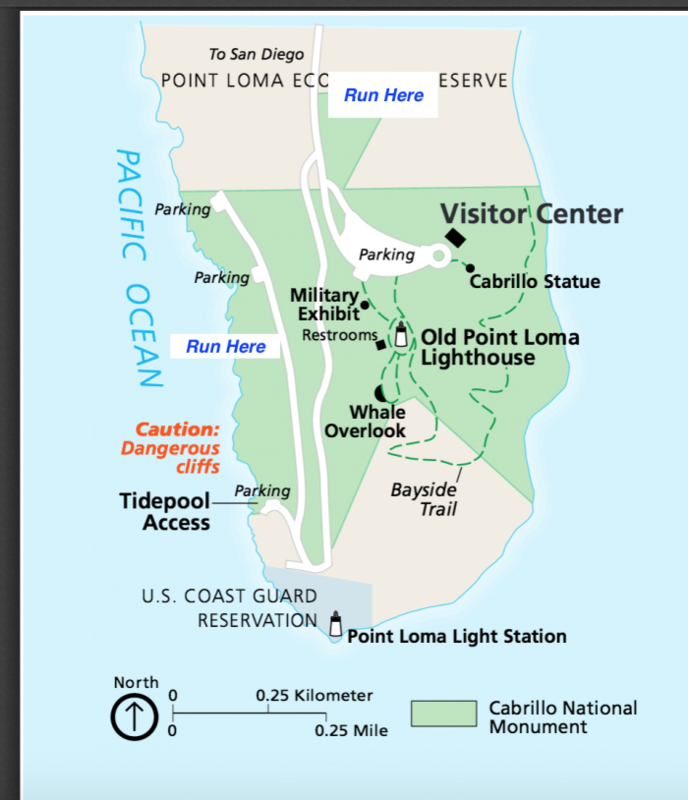 Ambitious runners can go all the way from the Cabrillo Monument to Sunset Cliffs (~5 miles one-way) or 6 miles one-way to Ocean Beach.